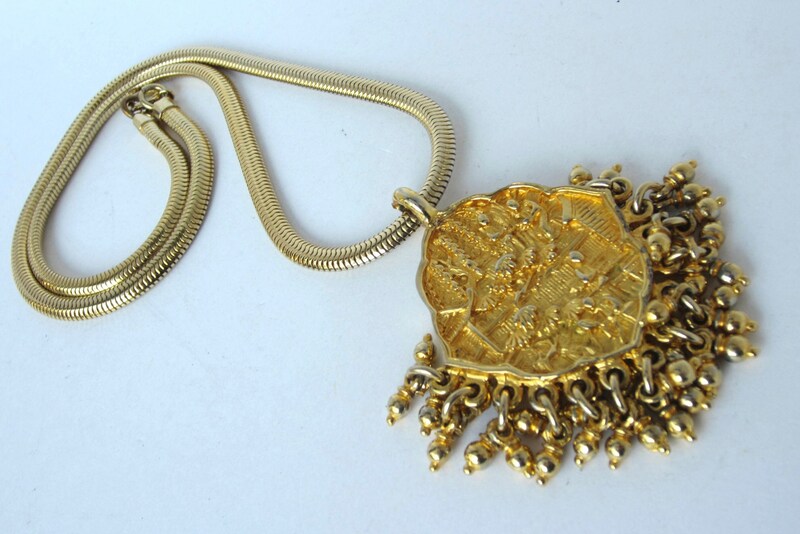 *LISTING: What an unique, eye-catching set this is. 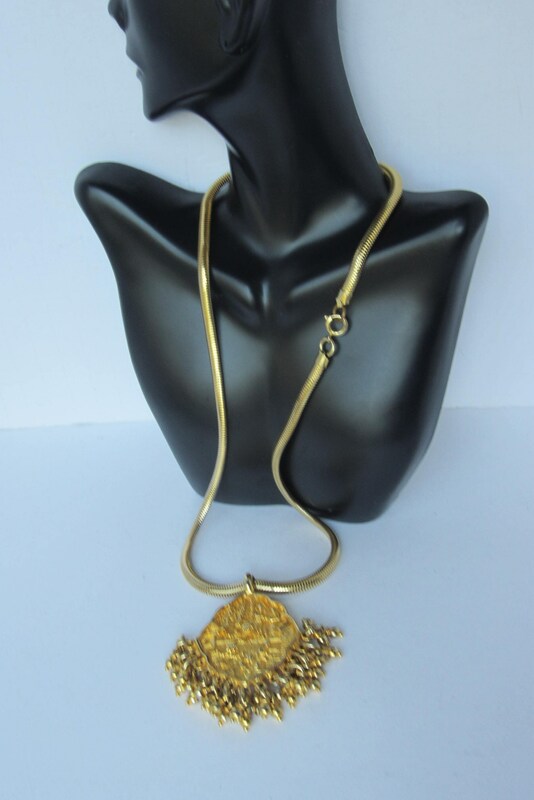 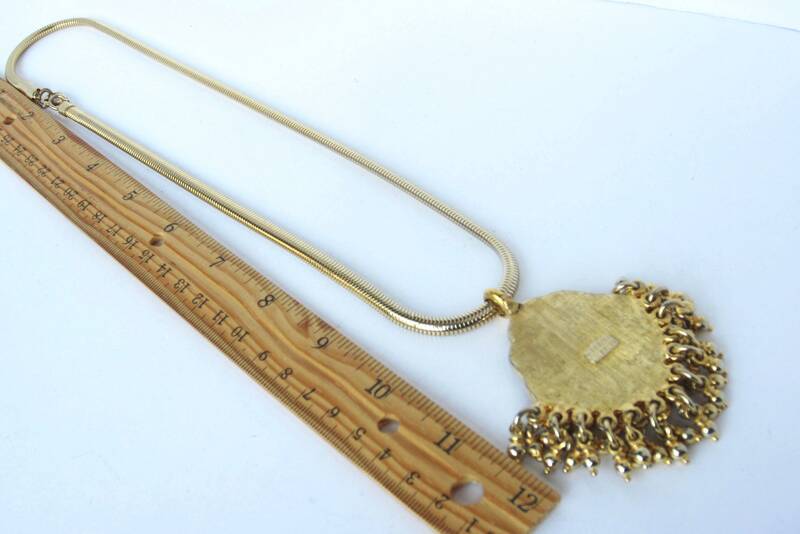 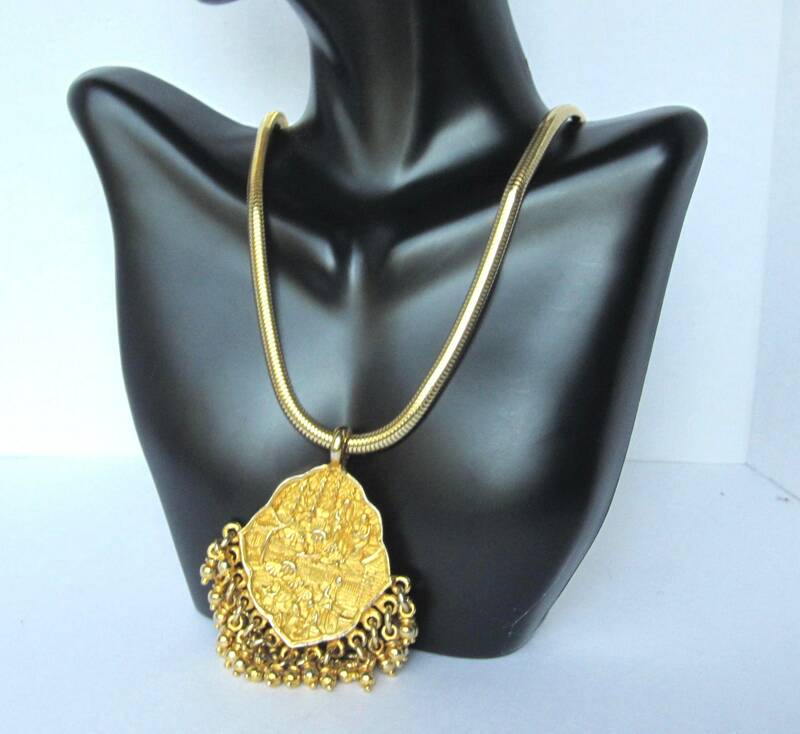 From the creator of unique, collectible costume jewelry, Donald Stannard, this Asian Inspired pendant & chain is lovely. 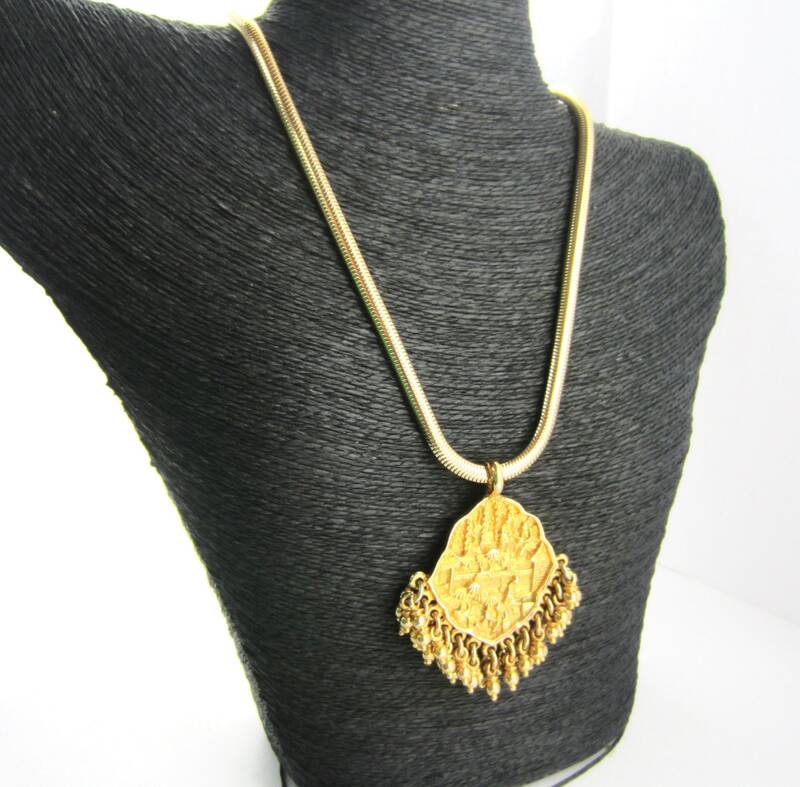 Both the pendant & snake chain are chunky & substantial. 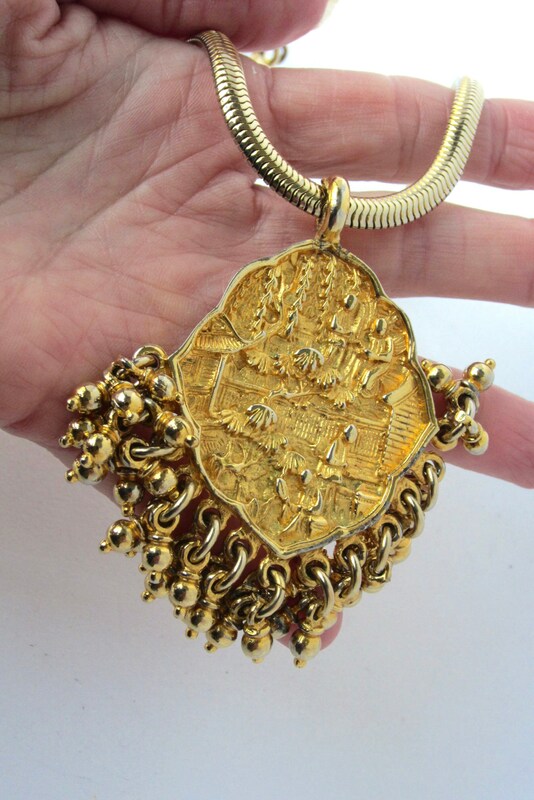 The pendant features an Asian Revival inspired scene. 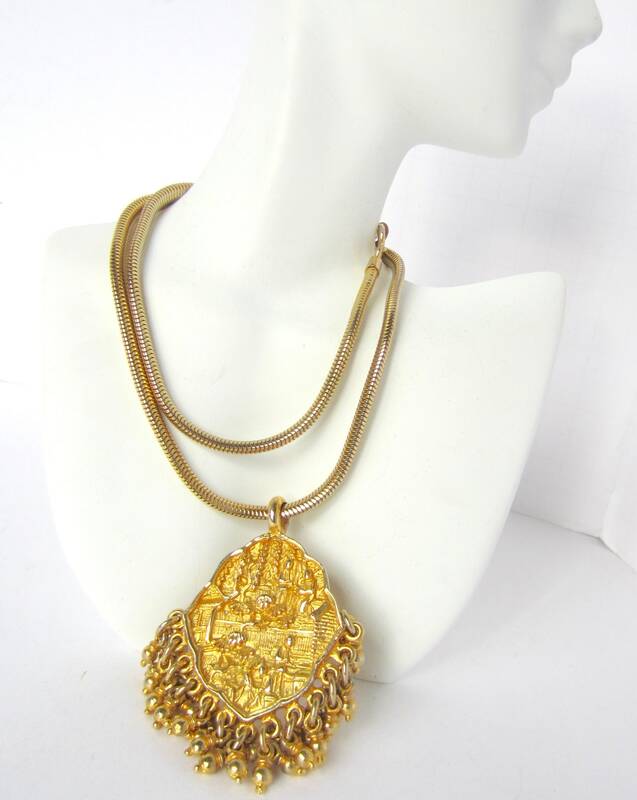 The pendant medallion has 3-ball tassels hanging below the pretty scene. 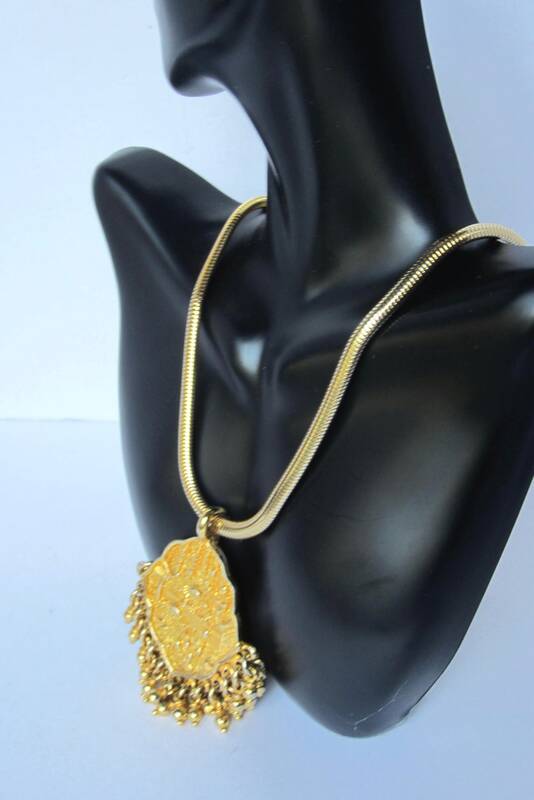 The original snake chain is thick & fluid. 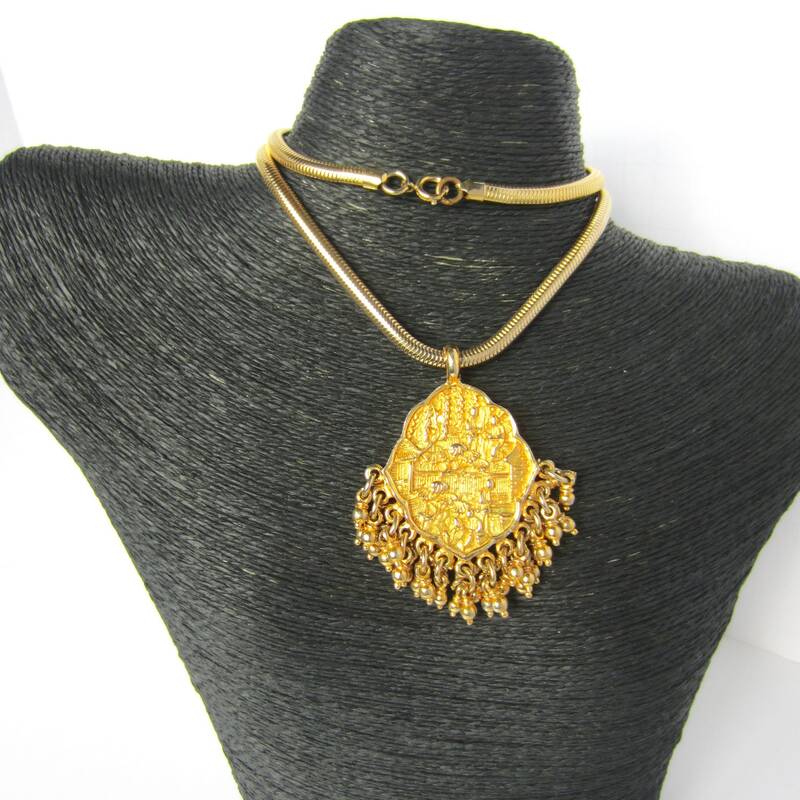 It finishes with a chunky spring-ring clasp. 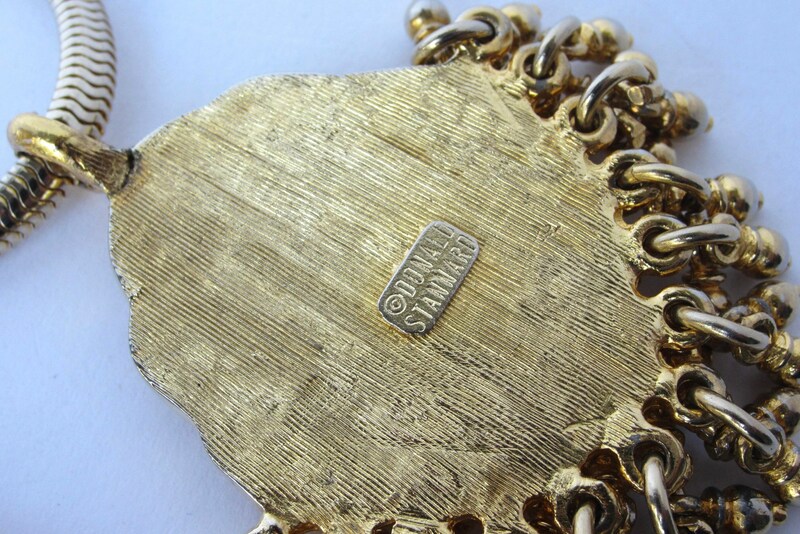 *HALLMARK(s): “Donald Stannard” placard on the pendant’s reverse.